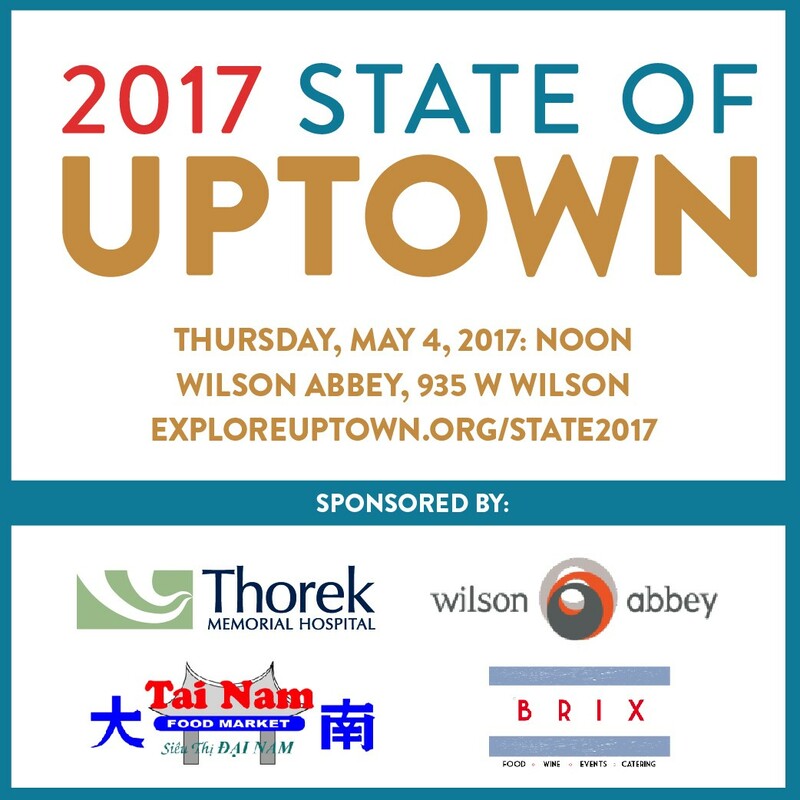 The annual State of Uptown luncheon -- sponsored by Business Partners, the Chamber for Uptown -- will take place on May 4th, at noon. All three of Uptown's aldermen will speak, as will Rep. Greg Harris. The charming founder of My Chocolate Soul, Ramona Thomas, will be the keynote speaker. Tickets are $25 for Chamber Members, $30 for non-members, and $200 for a sponsored table for eight. A ticket includes event admission and lunch provided by Brix Catering (vegetarian options will be provided). Online tickets will be available until May 3rd at 5pm, barring a sell-out. You can order your tickets here. The Facebook event page is here.